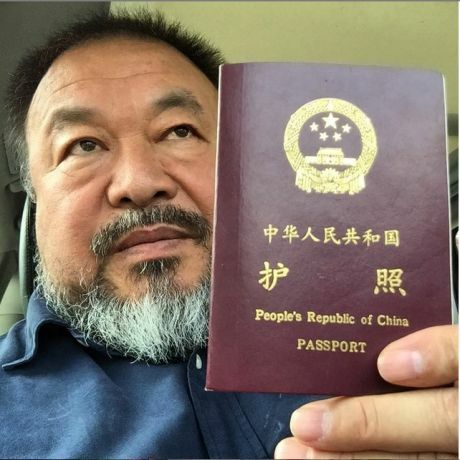 Probably the biggest international art news of the summer broke a week ago (Wednesday, July 22), when Ai Weiwei announced that the Chinese government returned his passport after nearly 4 years. We are delighted to hear this news, but we think it’s worth repeating in case you weren’t paying close attention: An artist’s passport was confiscated for FOUR YEARS because his art critiqued government policies. Ai was once celebrated by the Chinese government. Even if you don’t know much about the artist, you are probably familiar with one of his projects if you watched the 2008 Summer Olympics. The Beijing National Stadium, also known as the Bird’s Nest, was the result of Ai’s collaboration with the Swiss architecture firm Herzog & de Meuron. But the artworks Ai has created for more than three decades most often illuminate corruption, failed infrastructure. 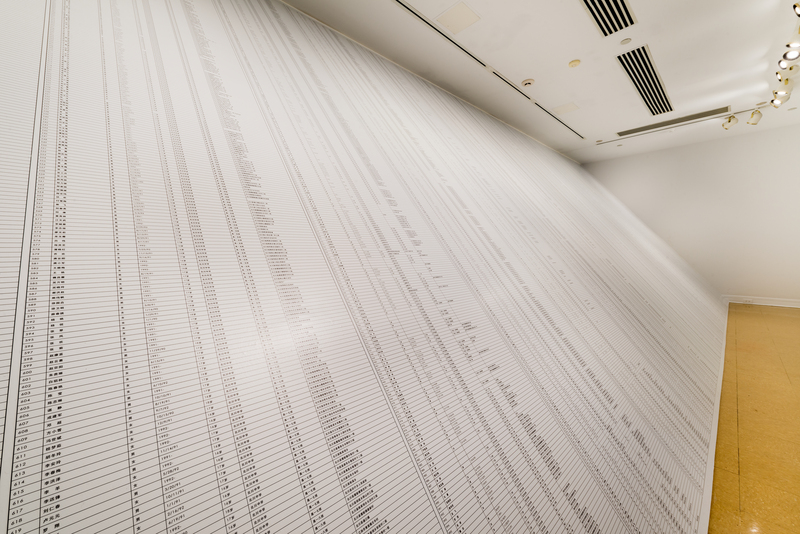 For example, after the 2008 Sichuan earthquake Ai launched a project to compile the names of the more than 5100 students who perished due to the collapse of shoddy architecture. 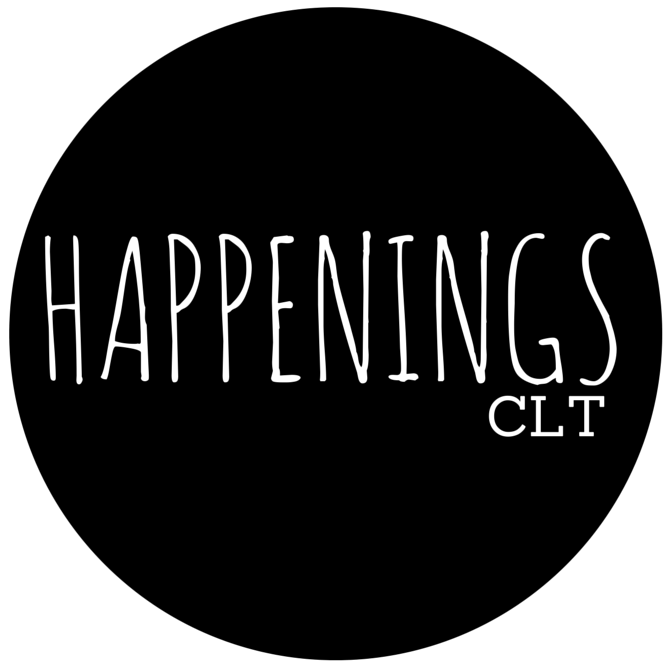 The Name Project resulted in several artworks, including Nameless and Remembrance which were both exhibited in January 2014 at the Davidson College Art Galleries. “Namelist” and “Remembrance” at Davidson College Art Galleries in January 2014. It wasn’t long after The Name Project began that Ai became the subject of police surveillance. Activists such as Tan Zuoren had embarked on similar projects related to the Sichuan earthquake. Tan was arrested in Chengdu in March 2009 after his report, “Independent Investigative Report by Citizens,” was released, which implicated the government in the disaster. 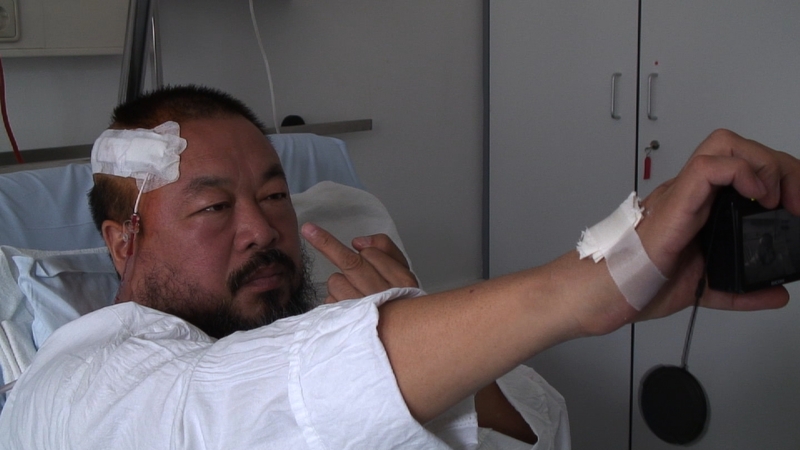 Ai agreed to testify at his trial – to discuss his similar findings – however, he was beat that night by the police in Chengdu. Nearly all of the witnesses were detained in some way, and were thus unable to testify at the trial. It was later discovered that the beating resulted in a brain hemorrhage and Ai was hospitalized while traveling in Munich. Ai recovered but in 2011 he was detained for 81 days. The charge was tax evasion but it is widely agreed that Ai was arrested for his political criticism. In 2011, his studio was torn down by the government in the middle of the night. He knew the destruction was on the horizon, but he believes it was because of his stance against the government, not because, as authorities claimed, the studio had been built without following proper application procedures. Despite his inability to travel freely from 2011 on, the artist continued to exhibit his work around the world. He continued to use social media, and created a #FlowersforFreedom campaign on instagram. 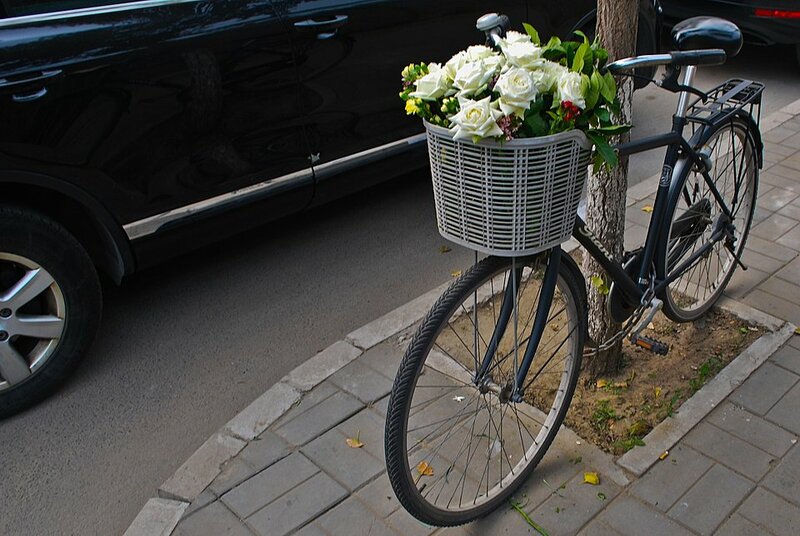 Every day that he was without a passport he posted an image of a bicycle with flowers in the basket. Despite an array of projects taking shape around the world, Ai was unable to attend any exhibitions of his work including the international tour, According to What?, exhibited in the U.S. at the Hirshhorn Museum, Washington, D.C.; the Brooklyn Museum of Art, Brooklyn, NY; the Indianapolis Museum of Art, Indianapolis, IN; and the Perez Museum in Miami, FL. While it is terrific news that Ai received his passport back, it’s important to note that Ai is the second artist to have his passport returned to him this month alone! 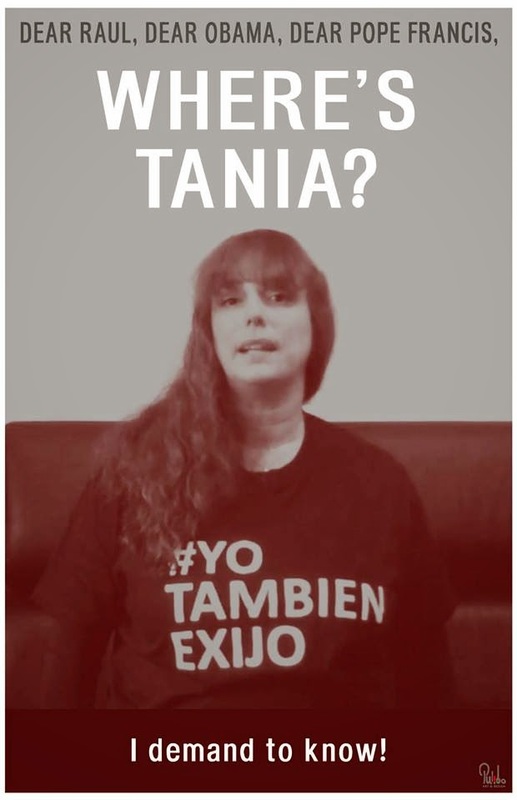 Tania Bruguera lives mostly between Europe and the U.S. but was confined to her native Cuba after being arrested for her work, #YoTambienExijo (I Also Demand), which intended to create a space for free expression in Havana’s Revolution Square. Similar to her previous work, Tatlin’s Whisper #6, Bruguera provided interested participants with a podium, a microphone, and one minute of time. Oddly, when Tatlin’s Whisper #6 was staged at the Havana Biennial in 2009, the action basically took place without incident (thought it was eventually shut down). Then this year, in 2015, during a time considered to be more open and free in Cuba, Bruguera was denied permission to create her piece. Later, when she announced that the performance would continue as planned, she was arrested. Her passport was confiscated for six months; it was returned just a few weeks ago. Quite often art is sanctioned or tolerated dissent but the aforementioned stories remind us how powerful (and feared) art can be. It’s true: Art is powerful. It can be a serious and viable threat, because artists, in their quest to document the world around them, can help illuminate concerns, incite action, and in the best cases, provoke change.